Christopher Wong from Young Urban Farmers is back with some tips on how to hand pollinate tomatoes. 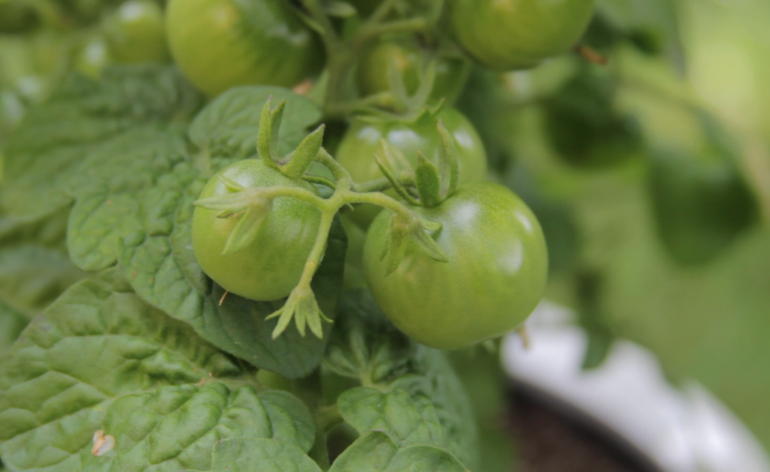 Tomatoes are popular plants to grow in an urban garden whether it may be a front yard or back yard, balcony or roof top. Tomato flowers are really unique and excellent because they will self-pollinate. They contain both the male and female part of the plant. When we plant the tomato plant in a backyard or an apartment, we need to think about insects. Lack of insects will reduce the yield therefore, hand pollinating of tomato flowers will increase the yield and ensure you make the most of the space in an urban garden. First method: Shake the branch of the plant, which has the flowers with your hand softly. Grab one of the areas where the flowers are developing and give little bit of a shake. This will help the flowers to release the pollen and hence pollination will occur to produce delicious pulpy tomato. Second method: Use your fingers again to flip the flowers to stimulate the flowers to release the pollen. This pollinated flower will become a delicious tomato that we all love to eat. Third method: The third method to stimulate pollination in the tomato plant is the most recommended. In this method, he uses an electric toothbrush with a vibrating head. This will press the tomato flowers to release the pollen. This method of pollination is effective because the pressure exerted by the brush will help the flowers to release more pollen. In addition, if you have a very big tomato plant this method is helpful in making a large number of flowers to release the pollen. Using the electric toothbrush is very simple, just turn it on and use the backside of the brush, to touch the different flowers, which will help the tomato flowers release the pollen. In a few days these pollinated flowers will turn into beautiful baby tomatoes. In due time, you will harvest a large number of red juicy tomatoes. Young Urban Farmers is a Toronto-based company that helps people grow their own fresh food in the city. Founded in 2009 by a group university graduates, they hope to share their passion for local organic produce by making gardening simple, fun, and rewarding for people.